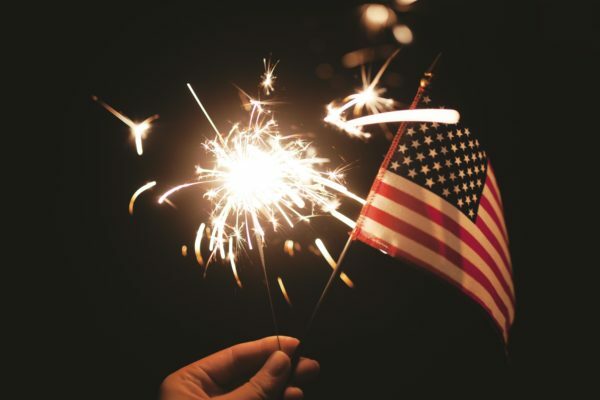 This year on July 4th while we celebrate the birth of our nation—whether it be by going to the beach, a picnic with friends and family, watching fireworks display, or all three—let’s also take a moment to be grateful for the freedoms we are allowed. We have the freedom of choice. We can choose where we want to live, and move if we change our minds. We can work in our professional field of interest. We have the ability and means to express our thoughts and opinions openly. The right to pursue happiness was included in our declaration of independence. So, celebrate this coming holiday with whichever activities bring you the most joy. It’s what our founding fathers wanted. Thank you, Vijay, for allowing me to guest write for Friday Food for Thought! Great post, Meg! I am certainly glad that I have freedom of choice today and always…thanks for sharing such wise thoughts.